If there's one thing that I find myself completely in love with, it's that whimsical feeling of being in love. I know, some people would take it against me, why, you're just in love with the concept of love, but hey! I am young and wild--isn't that exactly how being in love feels like? Earlier this year, I got to sneak a day or two with Taylor Swift's Wonderstruck fragrance. I can't recall if I have blogged about this perfume earlier on, as a true-blue Swiftie, I feel like I have already, but because this fragrance is my kind of fruity-floral, I'm dedicating today to yet another rave post on this perfume. Wonderstruck is of course inspired by one of her Speak Now songs, Enchanted. WELL, because we're looking back on Speak Now, let me share with you a December 2010 video of me singing a song from said album! haha :) Do like it on Facebook! Among many celebrity perfumes, this would have to be on top of my favorites list because it is my right kind of fruity-floral, and of course, wow, the packaging, that rainbow whimsical bottle and the charms any Swiftie can relate to, are all epic. What do you think of Wonderstruck? I love this one too! It's part of my wishlist. 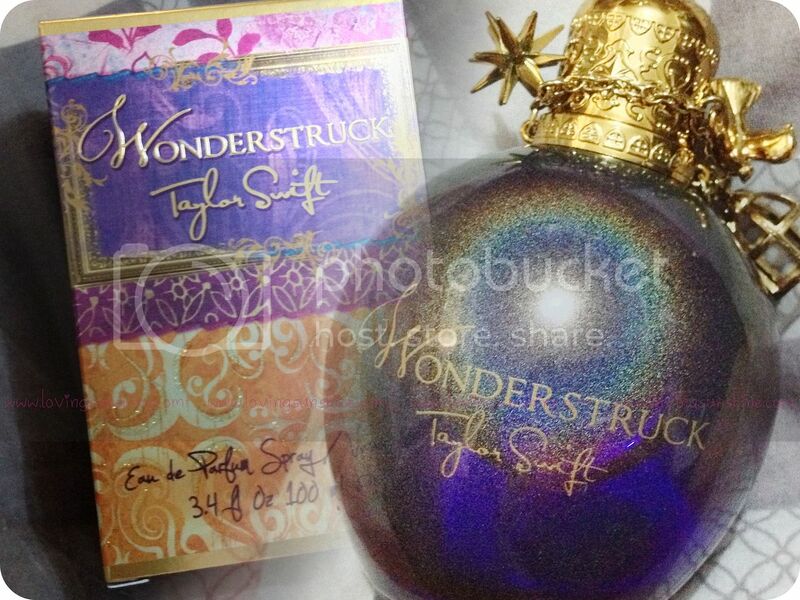 I love the red bottle of Wonderstuck Enchanted too! :) Hope it smells good (or even better) than the first one! Naku I recommend try it asap, para pag dating ng Wonderstruck Enchanted, you have both agad! Thank you Gellie. I hope you liked the singing as much as I know you'd love the perfume! Try it! I have been wondering and wondering about this perfume...The bottle itself is gooorgeous and it sounds amazing, but I haven't smelled it yet! It smells really good! Do try it!